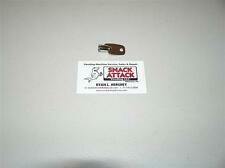 VENDSTAR 3000 BACK DOOR TUBULAR KEY #0193 - New / Free Ship! Vending Machine Manuals Necta (N&W Global Vending) Studio Drinks (5 Manuals). National Vendors Evolution (2 Manuals). Genesis (2 Manuals). Revive (2 Manuals). Vision (3 Manuals). COMPATIBLE WITH BEAVER & OTHER VENDING / GUMBALL MACHINES. YOU WILL BE RECEIVING "30", ONLY 20 IN PHOTO! ALL FILLED WITH TOY RINGS, ASSORTED STYLES & COLORS! GREAT VARIETY! 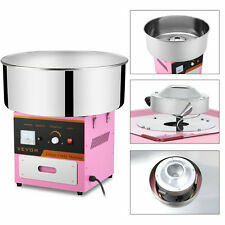 Pink Commercial Household 500W Fairy Floss Maker Electric Cotton Candy Machine #. ★In the evening, it can make the whole marshmallow very beautiful. ★If you want to have a marshmallow party, then you must not lose the this thing. ★Rinse the upper end with water after receiving it, but do not soak it in the water. 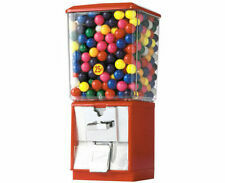 Elastic balls, it's only an empty machine. the weight of the machine:2.5kg. the size of the machine:41 23 15.4cm. NOTE: the machine doesn't include any. We will work with you to solve any problems. The slim profile wall mount allows this dispenser to be installed almost anywhere. 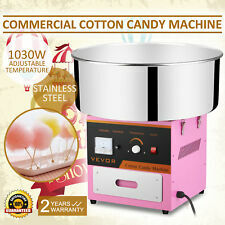 Pink Commercial Household 500W Fairy Floss Maker Electric Cotton Candy Machine. Speed Queen GR800. Speed Queen. Service Key. service panels. 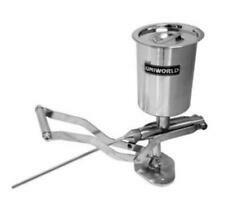 Give a toast with this 6 bottle revolving liquor dispenser! Leak-proof spring-loaded dispenser. CRANE NATIONAL. Suits tubular style locks as used on Crane. This key will only work on locks marked. National machines. Dimple Key Cam Lock. Cyber Lock. 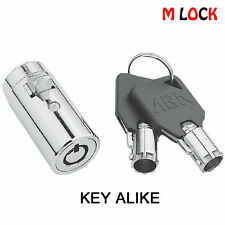 -Supplied with 2 keys per lock. -90 degree key rotation. -Key removable in both locked. -Supplied with all required fittings. and unlocked positions. To Suit Snackmate Machines. Perfect for vending & arcade machines. "Also great for snack vending machines. Tubular Cam Lock Pair. 90 degree key rotation. and then unlock the second lock with. You can unlock one lock, remove your key. BDS Tubular Cam Lock. 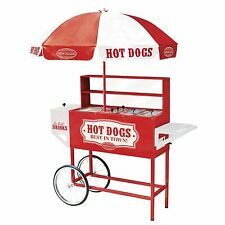 Perfect for vending & arcade machines. 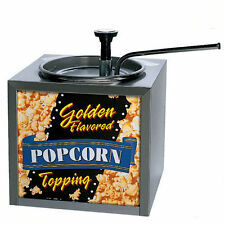 "Great for snack vending machines. Perfect for pinball and arcade doors. 90 degree key rotation. and then unlock the second lock with. You can unlock one lock, remove your key. Padlock Eyes (Pair). Stainless Steel. Made from stainless steel. HMX300 - HMX500. HMX SERIES TUBULAR. Key codes can normally be found on your original keys. KEYS CUT TO YOUR. or stamped in the face or side of your lock. Available Key Code Range example key (Blue key). We can manufacture the back end to fit and suit most Bean to cup cappuccino and coffee machines in perfectly as you can see in the picture the results are amazing. How cool is this ?. 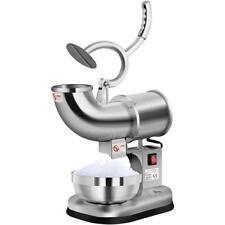 Just for clarity the price does not include a coffee machine, we will place / fit your machine into our amazing creation. Each bottle can be up to a 1 Litre size as the brackets are adjustable which then clamp the bottle securely into the optic. Once the bar caddy is loaded with bottles you can rotate the caddy to find your chosen tipple and then simply push your glass up and under the optic to get your 1.5oz shot. Key Switch Key. Drop-In Lancer 2400 Free Standing, Plug-in. This sale is for one #2007 key only. Tower Lancer 1 and 2 Valve Tower (Model 300). Drop-In Cornelius CC2323 TOWER W/ SLIDING LID. Drop-In Cornelius CB2323L SLIDING LID. CAVALIER TUBULAR. or stamped in the face or side of your lock. If you have lost your existing key or don't have one. This sale is for ONE key to code number. Key codes can normally be found on your original keys. ABUS 65CS40 Brass Padlock. Concealed shackle to resist cutting. Hardened steel shackle. 14mm horizontal shackle clearance. 18mm vertical shackle clearance. Supplied keyed alike. 40mm body width. Solid brass body. Giraffe Tubular Style Key Blank. Suits tubular style locks as used on vending & washing machines. with lock guard. Can be cut to code or sample key by any reputable Locksmith or Key Cutter. Extended length to allow for cash boxes fitted. Suits 30 to 50mm padlocks. SHACKLE PROTECTOR. Dramatically increases padlock security. Suits everything from gates, sheds & tool box applications. LOCK BLOCK. One piece stainless steel construction. Vending machine coils / springs they are a 10 count spiral right, will suit most machines. I use these springs in our Crane combo machines. Suits tubular style locks marked GR100. Greenwald / ESD. #GR100 Key. Vending machine coils / springs they are a 8 count spiral right, will suit most machines. I use these springs in our Crane classic and media machines. Suits tubular style locks as used on vending, pinball and arcade machines. TUBULAR KEY BLANK. Can be cut to code or sample key by any. "These are quality Italian made key blanks. reputable Locksmith or Key Cutter. Vendmax Machine. T001 key only. Key #T001 (Purple key). This sale is for. 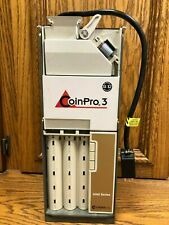 This not bill acceptor - only manual soft for Cash Code bill acceptor ! pdf - this a CashCode accessories for working and testing only 12V (SM-2007, SM-2073 and other) bill acceptor for RS232 protocol via COM port. This stain is shown in the second the last photo (7th photo). Its operated by three D batteries. Your lock / original key must be marked CAV4. CAVALIER TUBULAR. or stamped in the face or side of your lock. If you have lost your existing key or don't have one. for this key to work. This sale is for ONE key to code number. SP10 Tubular Key. 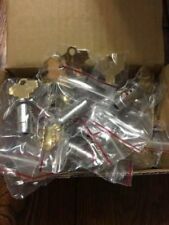 Suits tubular locks with key number SP10 only. These locks are used on many coin operated. This sale is for. Suitable for arcade, vending, gaming, bike locks. Key codes can normally be found on your original keys. 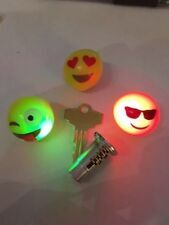 KEYS SUPPLIED TO. There are many different code series for these types of locks. or stamped in the face or side of your lock.